The beauty of athletics is your performance rests with you, unlike a team sport where performance rests with the team. There’s nowhere to hide if you false start in front of thousands of spectators, there’s nowhere better to stand than when you have a Gold medal around your neck. I have coached for 10 years either as a level 1 or 2 after starting as a parent helper. Age group older specific age group. Sporting background swimmer/gymnast. 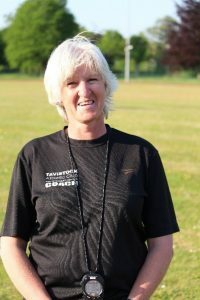 “I feel very lucky to be a coach at Tavistock AC…feels like my second family!! 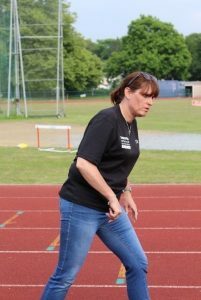 Coach – Sprints, long jump, shot put. Age groups: u13, u15, u17 & (recently u20’s – Shot Put). 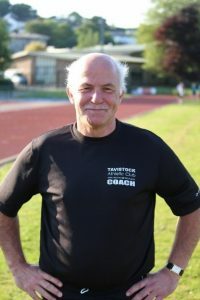 Started coaching at TAC in September 2000. Gained coaching athletics qualifications & experience by watching & learning from other coaches at different locations & going on courses. Specialised in throws & sprints. For 14 years coached age 7 – 11 on the 365 basics and indoor sports hall events. I took a year out due to bereavement etc. Asked by Mhairi to come back September 2015 which I am grateful as it’s helped. Changed of age category to upper foundation. Each Tuesday I’ve added an extra 30 minutes to coach other events such as Hurdles & long jump & core physical athletics. I am also qualified & coach SAQ & fitness; I am qualified & coach Basketball (been involved since 1967! ); coach football from minis to senior level and I coach at primary schools & includes multi – events from reception age. 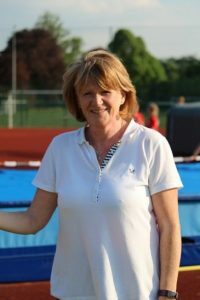 Coach – Discus, Javelin, Hammer & Shot. 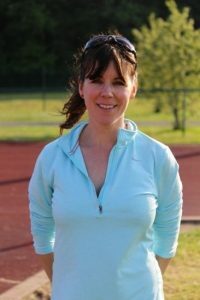 Sports enthusiast, played hockey for 22 years then switched to running and regularly competed in 10ks and half-marathons. 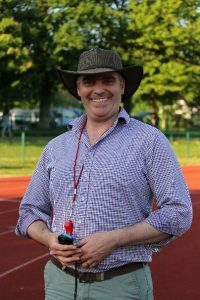 On reaching the end of my running career I found myself watching my own kids do athletics every week and saw there was a need for more coaches in the club. After being an assistant coach for 2 years, I qualified as a coach in 2017 and have now found my niche in throwing. As I don’t come from a throws background I have had to learn everything from scratch, needless to say I am still learning! Special Interest: Hammer, Discus and Shot plus conditioning work to support these and any other events. Training Days: Tues, Thurs, & Saturday mornings, when in Devon! 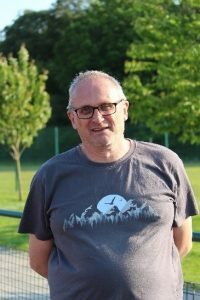 As a former teacher of Physical Education, Physics and Mathematics I have coached both in schools and local clubs since the mid 1970s. I took up hammer throwing at College just to make up numbers in the team (as is often the case, especially back then) and coached myself (also in DT and SP). My first College match was a memorable 22m “effort” at Loughborough vs some very useful junior internationals throwing 60+. But I got my 2 points for the team! PB doubled to 44.08m for Bronze in 1975 British Colleges Champs in my final year. 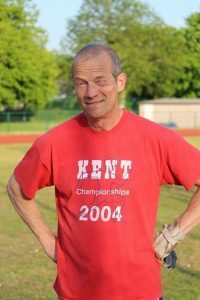 I still compete at Senior and Masters M65 hammer and weight but nowadays get more satisfaction from coaching at TAC and also at Medway and Maidstone AC, presently living in Devon and Kent, though not at the same time! Three years ago I re-qualified as a coach in order to update and expand my knowledge and am always keen to learn, develop as a coach and to pass that experience on.